A heavenly day including a 1-hour hot stone massage, personalized facial treatment, spa pedicure and spa manicure. Three wonderful hours of services including a full body massage, spa pedicure, and spa manicure with moisturizing paraffin treatments. This package is designed especially for people on-the-go with services that rejuvenate without requiring a day’s commitment. Includes Pure Focus Facial, 30 minute Swedish Massage and Time Saver Manicure. Spa pedicure and manicure with moisturizing paraffin treatments. Float away with a 45-minute Swedish Massage followed by a Canopy Steam Body Treatment. Expectant mothers can relieve stress and anxiety and experience restful bliss with our 45 minute prenatal massage and relaxing spa pedicure. Baby will be arriving soon so take one last getaway for just you! A perfect prologue for the younger generation, this relaxing 20-minute massage starts with light pressure on the arms, back and legs. Next a skin care analysis and 30-minute facial, in which the face is cleansed, lightly exfoliated, hydrated and gently massaged. Celebrate a special mother/daughter day where you can bond and relax in each other’s company. Enjoy a ½ hour massage and pamper yourselves with spa pedicures side by side. Includes a beverage and dessert. For the man who has everything or the guy who deserves a nurturing break – 90-minute deep tissue massage and gentleman’s pedicure with warm paraffin treatment. 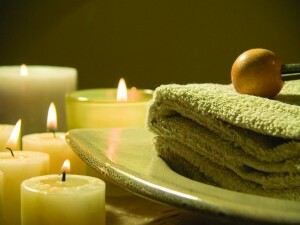 Spa Packages are served with cheesecake, fruit and chocolate and include a complimentary beverage. *Princess Package and Man’s Haven Package include lunch, dessert and beverage of choice.